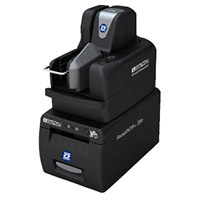 Scalable check scanners and imaging customized to your needs. The first choice for many banks and high-volume businesses. Network connectivity in a scalable check imaging document scanner, essential in any client teller environment. 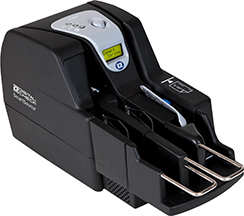 The single-feed design and compact-size make the Micro Elite perfect for low-volume remote deposit capture applications. 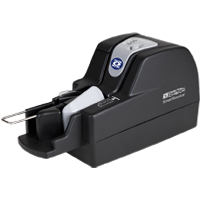 Compact and economical check scanners, ideal for businesses with teller capture and remote deposit capture environments. Unique service & maintenance plan included with this model. scanners, and the first choice for remote deposit capture environments. 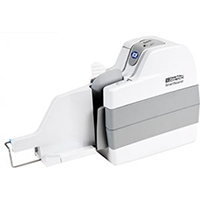 SmartSource® ReceiptNOW receipt printers deliver fast, crisp, clear receipt printing while clearing clutter from counters. Scans intermixed document types including checks and full-page documents. The most versatile SmartSource check scanner available. 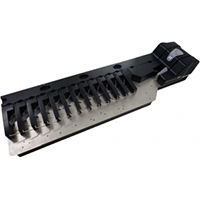 Production-class desktop reader sorter compatible with existing Burroughs Quantum sorters. Provides the flexibility to supplement your document sorter without requiring expensive application changes.